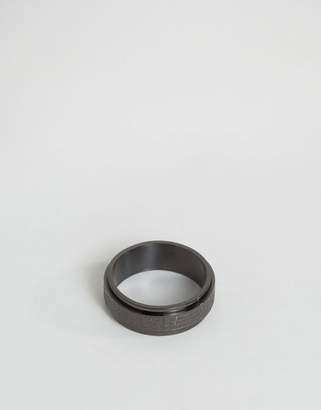 Ring by Seven London, Classic band design, Text detailing, 100% Stainless Steel. Luxury jewellers Seven London take a distinct approach to design, handcrafting their accessories with a confidence and attitude. Combining gold, silver, Swarovski crystals and semi-precious stones, Seven London draw from the head, heart, street and city for a unique global aesthetic.